Red Salute to Shahid Safdar Hashmi! Safdar Hashmi was murdered on 2nd January 1989 while performing a street drama in Sahibabad, Delhi. We pay our homage to the martyr and give below a short write up on him by Sahmat, the institution formed in his memory. Born on April 12, 1954 in Delhi, Safdar did an M.A. in English Literature from St. Stephen’s College, Delhi University, in 1975. During his years at University he became a member of the Students Federation of India and then joined the Indian People’s Theatre Association. He was one of the founder members of the Jana Natya Manch (JANAM) in 1973. In 1976 he became a member of the CPI(M). After brief stints of teaching at Zakir Husain College, Delhi, and the Universities at Srinagar, Garhwal and Srinagar Kashmir, he worked for a period as Press Information Officer at the West Bengal Information Centre at New Delhi. In December 1983 he became a full-time theatre activist and party worker. JANAM had by this time acquired national prominence in the cultural sphere with plays such as Machine, Aurat, Gaon Se Shahar Tak, Raja Ka Baja and Hatyare. Safdar wrote the songs for these plays and contributed greatly to the scripts which dealt with issues concerning the exploited sections of society. Largely due to Safdar’s efforts, JANAM has played a major role in the creation of an all-India street theatre movement. Safdar’s creativity was not confined to JANAM. He has written poems and plays and done sketches and masks for children, designed hundreds of posters, written scripts and directed short films for television, and written on culture and theatre for national newspapers and the SFI journal Student Struggle. He was one of the main organisers of the Committee for Communal Harmony and its activities to counter the rise of communal, fundamentalist and divisive forces. He organised a number of seminars and workshops on theatre and culture. Safdar was developing the idea of nation-wide democratic cultural movement and envisaged the organisation of a ‘Janotsav’ to generate forms appropriate to the experiences and struggles of the Indian people. 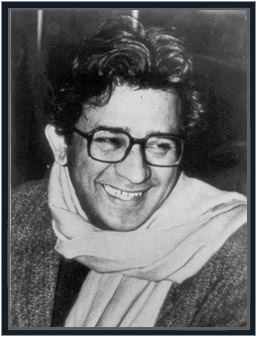 In recognition of his contribution to the street theatre movement and to the growth of a democratic culture, the Calcutta University conferred on Safdar Hashmi the degree of D.Litt. posthumously. Twenty four years ago, on 1 January 1989, Safdar Hashmi was fatally attacked in broad daylight while performing a street play in Sahibabad, a working class area just outside Delhi. Political activist, actor, playwright and poet, Safdar had been deeply committed, like so many young men and women of his generation, to the anti-imperialist, secular and egalitarian values that were woven into the rich fabric of the nation’s liberation struggle. Disturbed by the betrayal of its goals by the post- independence ruling elite, Safdar too had moved closer to the Left, eventually joining the CPI(M), yo pursue his goal of being part of a social order worthy of a free people. Safdar’s political commitment and artistic creativity, coupled with a keen sense of fun and irrepressible friendliness and warmth, made him extremely popular not only among those he had worked with but even those who had met him only briefly. With his death the CPI(M), the Jana Natya Manch, the cultural movement and the democratic and secular forces of the country have lost a beloved friend, a talented artist and a committed political activist.